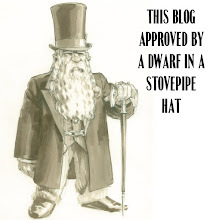 I continue to cannibalize content by pulling together my "RPGaDay" answers. You can see Part One and Part Two here. I have one more installment for next week. Day 17 What RPG have you owned the longest but not played? There’s an odd break in my game ownership; we lost most of our rpg books in the fire and had to rebuy. A few things survived—water-warped Mage and Transhuman Space books, plus some Harn, RM, and Glorantha stuff we had stored away. So for this, I’m mentally adding pre-fire time to whenever I got it post-fire. By that calculation, it's Heavy Gear. HG came out in 1995 and I picked it up immediately. I loved the idea of a mech game, but Mekton, Mechwarrior, and RoboTech hadn’t clicked for me. 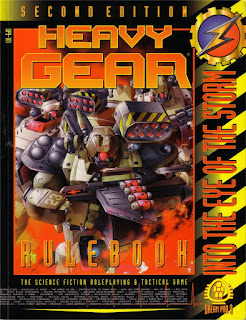 Heavy Gear looked more interesting, with a cartoonish style and seemingly simple rules. I liked that the Gears were more armored suits than multi-story robot warriors. The company released “Cardfighter” board games that came out just before the rpg, teasing the universe. They sold those in hard plastic VHS cases. But when I sat down to read the rules, they didn’t grab me. Heavy Gear had what seemed like way-too-simple resolution and a strangely inflexible setting. It built on tactical miniatures mechanics but felt odd to me. I don’t know exactly why I skipped on it—I bought the sourcebooks but never tried to get it to the table. Over the years I followed the Heavy Gear line. For a time RAFM or Grenadier released amazing minis for it. These were big figures, scaled at the standard 25-30mm, done in metal. I still have many of these. Eventually the company realized how limiting that was switched the scale far downwards, making humans 10-15mm and Gears about twice that. It made sense for what they wanted to focus on, but it turned me off. The company also licensed the game world out with minor success. The Heavy Gear PC was fun but buggy. I only played it a couple of times since it was outside my skillset. The Gears moved fast, way faster than I could handle. When my friend Barry passed, I realized he’d been just as into Heavy Gear, but also hadn’t gotten it to the table. I inherited his collection of books, pretty much the complete set. That and my original core book vanished in the fire. Then a few years ago I ended up with two copies of the 2nd edition core book and some of the supplements, a payoff from Chains of Generosity. I still have those. And I still haven’t played them. Looking through them again, the world still feels closed in. 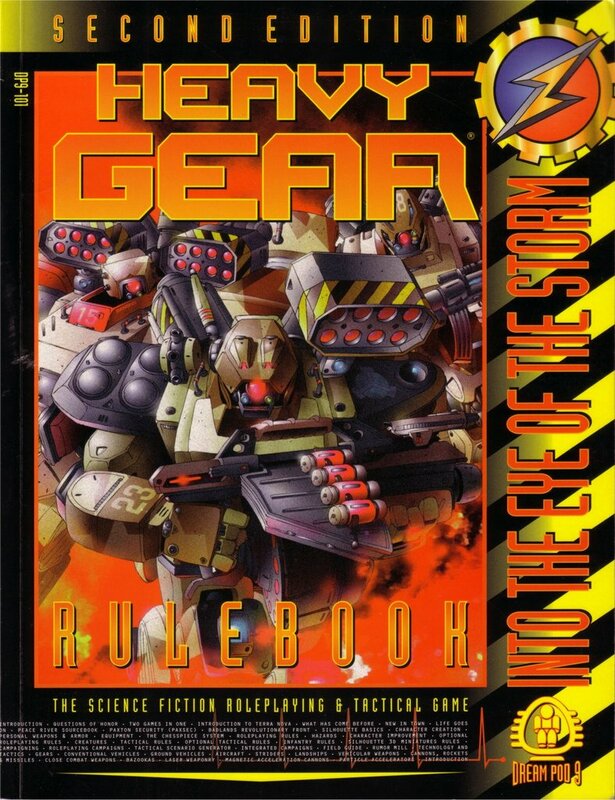 Heavy Gear has a metaplot and highly structured setting on a single planet. I don’t feel ton of imaginative space. On the other hand the rules now seem overly complicated and dense to me. They seemed paper thin two decades ago, but now I can’t even imagine trying to get them to work. Day 18 Which RPG have you played the most in your life? Still Action Cards, our homebrew. We’ve been playing it steadily since the beginning of 2007, with 1-3 sessions on average every two weeks. Even before that date, I’d already run three discrete AC campaigns over the previous decade. Outside of that Rolemaster and GURPS come the next closest. The latter edges out if we split RM into Classic and Standard system. Day 19 Which RPG features the best writing? I’m sure you’ll hear this in other people's answers, but I think some games get compelling and interesting right, while others get clear and illustrative right. A few of the best balance the two. Up until this year, my answer for this would have been Hollowpoint. It has that balance. Brad Murray’s lean and clear presentation does an amazing job of creating a strong atmosphere while providing a clear set of resolution mechanics. But then I read and ran Blades in the Dark. I'll admit, for the first few pages I wasn’t sure. I couldn't tell where the designer was headed with the explanation. But then, not far in, everything clicked. BitD has a ton of moving parts—layered resolution systems, rules for running your gang, ideas for handling the world. But it presents it well and logically as you read. It compliments those systems with smart and excellent examples of play. It also presents the setting in pieces, a slow accrual of details. By the time you actually get to the sections in the back that lay this stuff out, you’ve been immersed in it. I love that. 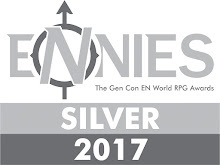 So many games I’ve read-- the hundreds from the RPG Genre lists-- info dump at the start, clumsily drop things in, or thinly sketch the setting in the GM section. Blades sets things up such that you become more curious as you go. Blades has a specific setting—all of the mechanics are baked into that place. But I never feel like I couldn’t pull it out and hack it for something else. It smartly balances that. A rich world supported by the game, but also an adaptable core system. I’m not saying it wouldn’t be work—it would be. But the game doesn’t cloak those elements. 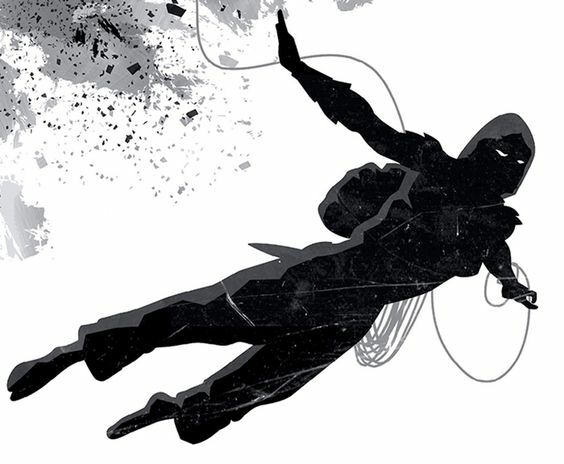 Blades in the Dark does have a flaw, and one that comes from this reader-centered approach. For me it brilliantly sets up and presents the material and information. It’s a dynamite book for learning the game—one of the best. However that organization of info is less helpful when you’re hunting for specific rules and details at the table. I’ve been trying to organize the cheat sheets around the parts I flip back to the book for most. That can be a pain, but I think the beauty of the writing and teaching approach of the book outweighs that. Day 20 What is the best source for out-of-print RPGs? I'm going to abstain from answering this. Sometimes I have to find and check out old, old games for my RPG Genre Histories. 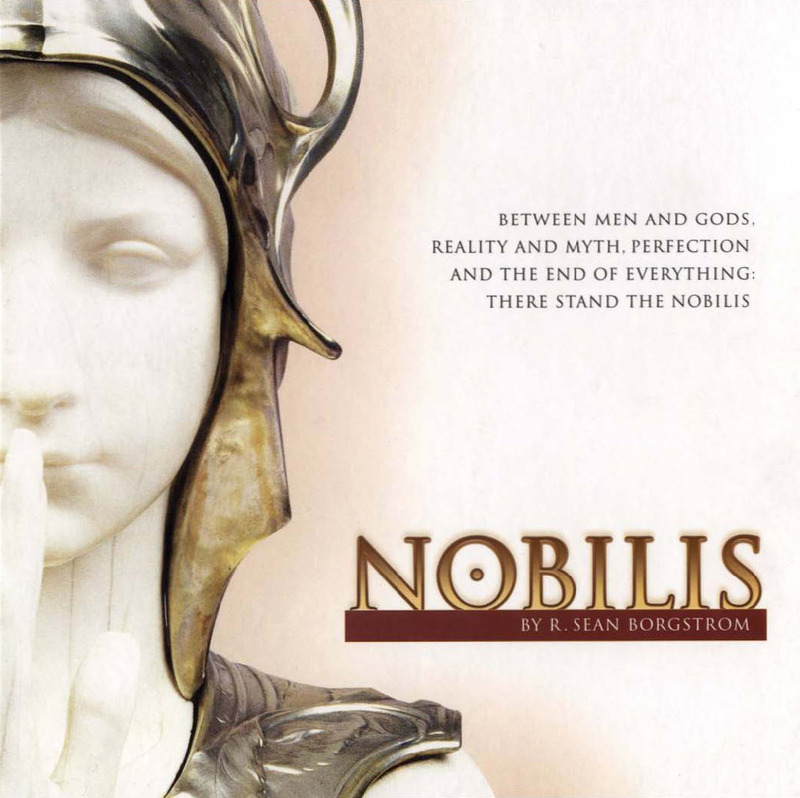 These are things which are long gone, unavailable on DTRPG, and going for crazy money on places like Noble Knight and eBay (if they're even there). Day 21 What RPG does the most with the fewest words? For me that's Ghost Lines. There's so much crammed into there, and so much not explained. It sketches out the premise (people fight off ghosts on trains that go between cities) and gives you the tools to play that out. But you have to fill in the cool stuff. Each time I've played this, it has felt distinct and different. Is isn't just a collaborative thing but a demonstration of the possibility of multiple readings from a single text. Day 22 Which RPGs are easiest for you to run? Again I have to fall back to our homebrew, Action Cards. But I think that it points out an important feature. I've spent years working and refining that game to fit with the way I run. I've cut things I get stuck on, discarded any elements I've found myself not really using at the table, and eliminated bits that required me to go slow down and break the flow. The group's done the same-- they've been as instrumental in showing what they dig and engage with at the table. The meeting point of those two forces have given us a game that comes naturally to me. Outside of that, I'm not sure. Many games I run still require me to get into their headspace before I tackle them: 13th Age, 7th Sea, Blades in the Dark, The Sprawl. If I had to do a pick-up game with blank paper and 2d6, I could probably run FAE or a stripped down PbtA engine pretty easily. So that's close. Day 23 Which RPG has the most jaw-dropping layout? I'm of two minds about this. I can think of two games that made me stop and look at the layout because of Teh Awesome. 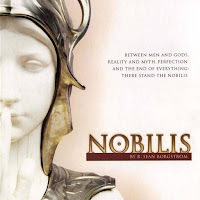 The second edition of Nobilis is an absolute wonder of creativity and design; Tianxia's an overlooked gem of clean layout and presentation. But I can think of many, many more that made me stare in disbelief. When I work through my RPG Genre history lists, I look at a lot of games. So many designers seem to not care about what happens on the page. They vomit words and only ask, "Does it fit?" If the answer's close to yes, they hit save. I'm working on cyberpunk rpgs from the late 2000's and I'm still running into this-- even in an age of easy access to freeware DTP tools. 1. Big, thick page borders. Especially strongly ornamental ones. I don't mind when they're subtle or run tightly along the full-bleed edges. Some use borders to highlight page numbers; that's a good trick. But I've seen so many that obscure and hem in the text. They darken the page and run close to the words. I've flipped through a couple with heavy, boxy page borders. If they're combined with a large font, they look like something my writing students would do to stretch page counts. 2. Running the text out to the margins. I know designers want to cram everything in, but we need that white space. It helps with visibility (Sincerely, An Old Dude). It's especially bad with single column text as it turns into a wall of words. Designers need to kill their darlings. If you've got a tight page limit, cut fluff and content in favor of readability. BUT don't cut things like character explanations and playbooks-- things that players might reasonably go back to the book to use. Cut appendices and options-- put those online. 3. No spacing between paragraphs. 4. Intrusive watermarks or illustrations on page backgrounds. I know they can look cool, but they always end up darker in the final product. I've thrown away a couple of DriveThru PoD releases because the pages became unreadable. Even simple color/texture backgrounds make things harder to read. Designers need to think about what a particular element adds to the game vs. the cost. 5. They use Papyrus. I hate that font.